Buying a home can be a lengthy and challenging process that is never truly complete until money has exchanged hands. One of the final steps in the sale of a house is a home inspection. At this stage, an outside expert evaluates the home, highlights flaws and recommends repairs. Here, a buyer can renegotiate the terms of the purchase ofthe home and work out a new deal with seller. This can be a tense process as both parties angle for the best options but if you follow some of the tips below, you may be better equipped to negotiate favorable terms. Most realtors will tell you that the home inspection is not the moment to begin asking for major repairs. 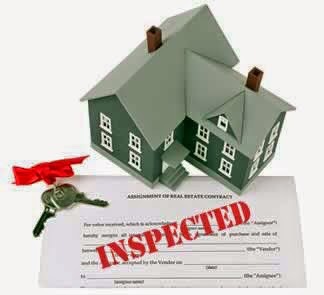 The purpose of the inspection is identify any major problems within the home, so you aren't surprised when you move in. However, assuming that the seller and their realtor are honest individuals, you should have a clear idea of the home's condition prior to the inspection. If you're buying an older home, you should expect that the floors may be creaky and the roof tiles are a bit worn. That wear and tear is built into the price of the home and it may be unreasonable to demand replacements unless there is major structural work that needs to be done. In general, having a realistic perspective of the home you want to buy and the work it may require will help save you negotiating headaches later on. As mentioned above, you should have a full understanding of what you're paying for in the home. Few homes on the market will be flawless and many will be in need of minor repairs; that is simply what happens to homes as they age and are lived in. If you're moving into an older home, it is not unreasonable to expect that the HVAC system may be aging or that insulation may be thin. All of these factors should already be incorporated into the list price of the home but never hesitate to ask questions of the seller about the health and status of the home. After a home inspection and some weaknesses or flaws have been identified, most realtors will suggest to their clients to opt for discounts rather than on repairs. Unless there is major work that must be done before it can be safely lived in, offering or accepting discounts on a home in lieu of repairs can speed up the transaction. Moreover, it can avoid logistical issues surrounding what is repaired, how it is repaired and who is responsible. To avoid these potential problems, it may be in your best interest to seek out a reduced price on the house you wish to buy. Negotiating and renegotiating are key parts in the same of any residence and the home inspection is just one useful tool at your disposal. An inspection offers you detailed insight on the health of your home, from indoor air quality to structural integrity. And with this information, you can confidently renegotiate the terms of sale.